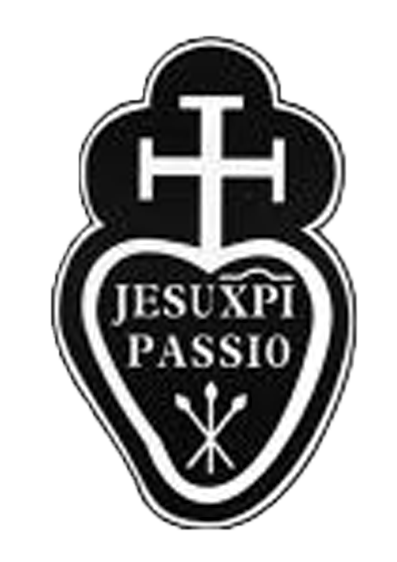 Our Passionist Sign is worn by all our Passionist family throughout the world. It is a reminder to us to keep the memory of Christ’s Passion alive in our hearts and also to proclaim its message. In the middle of the sign are the words, “JESU XPI PASSIO”. The words are in Greek and Latin, just as the sign on the cross over Jesus’ head was in three languages. The words mean, “The Passion of Jesus Christ”. On the top of our sign is the cross. Remembering the cross means remembering those in the world who bear the cross today: the sick, the disabled, the dying, the grieving, the lonely, the unemployed, the hungry and malnourished – all who bear the burden of pain. Jesus tasted pain and death. But he also tasted the final victory. To proclaim the Passion is to proclaim hope. At the bottom of our sign are three nails. The nails remind us of all those who are bound by poverty and the lack of freedom, those pierced by prejudice and unfair laws, those denied education and health care, and those who are victims of unjust wars. To proclaim the Passion is to challenge the world for its injustice and neglect. Finally, our sign is shaped like a heart. Jesus died that others might live. The cross becomes the symbol telling us that God’s love is stronger than death. Passionists want to proclaim that love to all of the world.